Vladas Tamasauskas of Lithuania has won the United Kingdom Irish Poker Tour season 5 Main Event and collected an amount of €176,900 as first prize. Tamasauskas won the championship after playing seven long levels and defeated a Local pro (Ireland), Dave Pollock who took home € 107,010 and secured second position. This was a great win for the Lithuanian player after long time and he succeeded. Tamasauskas said that “I felt I could beat him and I did everything right”, Tamasauskas said after winning the first prize of the game. The prestigious UKIPT#5 attracted 1,002 players from across the world in Irish city Dublin. Vladas Tamasauskas of Lithuania winning the top prize for € 176,900. Dave Pollock of Ireland and a PokerStars qualifier comes second and took home the winning share of amount € 107,010. Adalsteinn Karlsson of Iceland was fourth € 56,470. 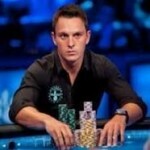 Samuel Vousden of Finland and another PokerStars player got fifth spot and added € 43,440 to his main account. Marc Foggin of The United Kingdom collected € 16,840 and finished at eighth place. The final table took place at 12:30pm Local Time with top 8 players representing the final. After hours of play Marc Foggin of United Kingdom hit he rail and finished at eighth position with an amount take home € 16,840. After first elimination of Foggin, Jelcides Monteiro also took the rail and never returned and he made € 23,520 being at seventh place. Then after two removals Quentin Dellis (6 th) and Samuel Vousden (5th) got busted due to big blinds took place in between then/other players. The heads up/final hands played in between Vladas Tamasauskas and Dave Pollock of Ireland. Vladas Tamasauskas made no mistake and won the championship.